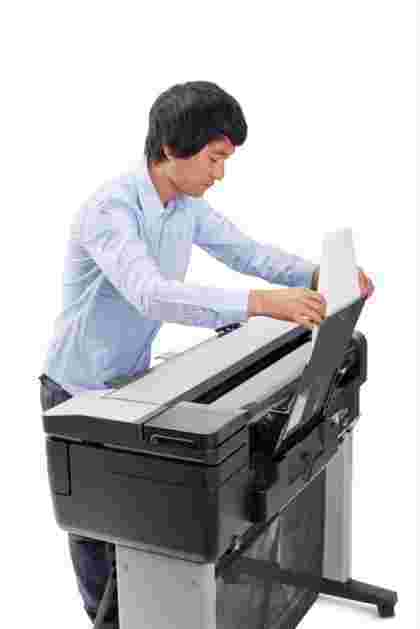 The HP DesignJet T830 24-in Multifunction Printer is a unique machine. 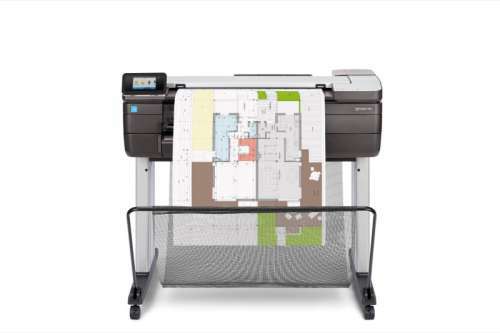 It’s the first fully-integrated MFP specifically designed for the A1 market – in other words a versatile workhorse that will be the ideal choice for architects, engineers and construction offices. 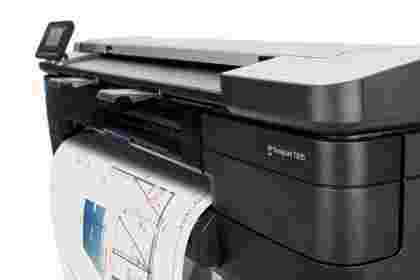 No other MFP comes with the promise of HP DesignJet quality and speed. You’ll be able to print highly accurate A1/D sheets in up to 26 seconds. Ease of use is prime consideration. It’s simple to install and set up and its robust design and strong legs means that it can be easily transported for use at the job site if required. Integrated software from HP – HP Click and HP Mobile Printing – allows for intuitive use from laptops, smartphones and tablets. On the printer itself, an easy-to-use touchscreen interface lets you scan, copy and share in an instant. You’ll have it up and running in no time, and your staff won’t need any training to use it. HP DesignJet printing and HP Bright Office inks are your guarantee of the quality of the output. Drawings are rendered with up to 0.1% line accuracy and smart scanning technology provides faithful colour reproduction. With sheet feed or roll feed options, you’ll obtain best results by using HP large format printing materials – HP Bright White Paper, HP Coated Paper or HP Everyday Adhesive Matte Polypropylene.